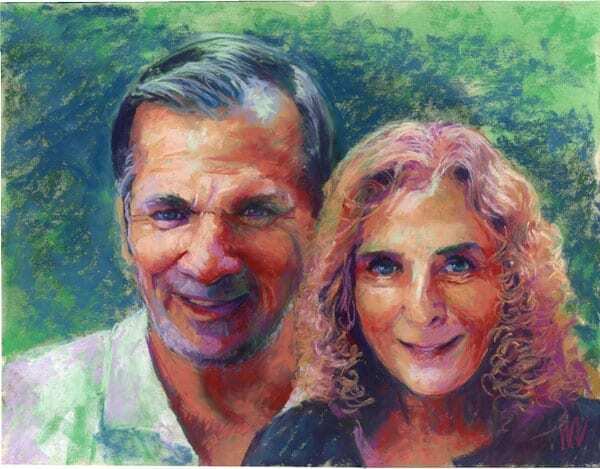 Paul and Jan, 11×14″ pastel on sanded paper. © Marie Marfia. Finished! I decided to forgo recording the last part of this one as a video. Next time I promise! Interested in a portrait? They make great gifts and are a wonderful way to celebrate a memory of someone you love. Check it out here. 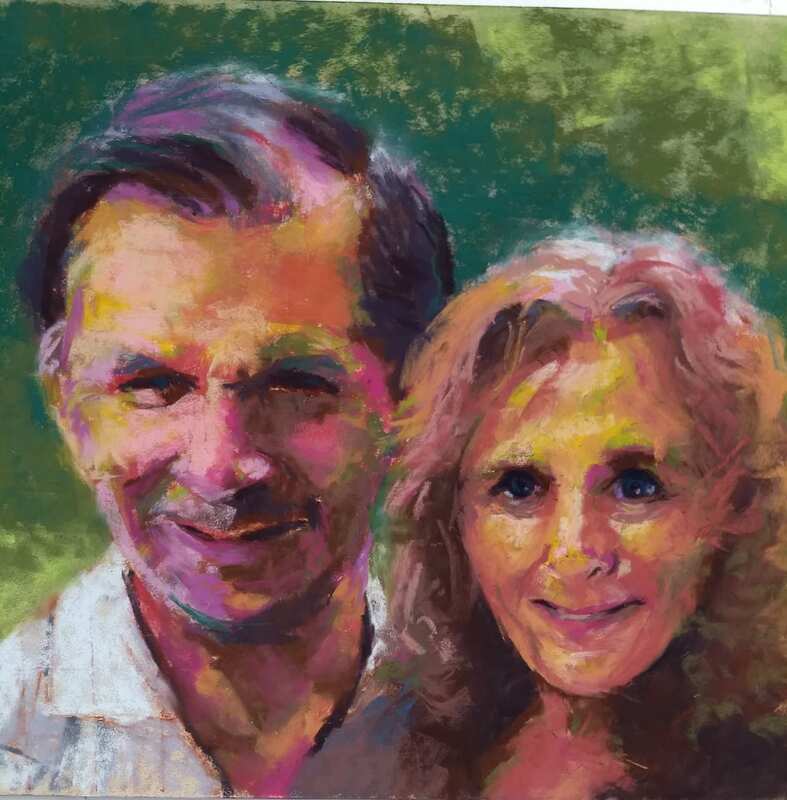 This entry was posted in A pastel a day, painting a day, Pastels, portraits and tagged commission, couple, husband and wife, married couple, portait on November 2, 2018 by Marie Marfia. More work in progress on this big family portrait. I’ll have it finished by tomorrow afternoon. Finishing the faces and hands. Starting to put in the background foliage and the stone bench. This entry was posted in A pastel a day, portraits and tagged commission, Marie Marfia, pastel on June 13, 2015 by Marie Marfia.